Tana Umaga has signed a two-year deal as an assistant coach. TANA Umaga has been demoted to an assistant role at the Blues Super Rugby team, with Leon MacDonald taking charge as head coach. MacDonald has agreed to a three-year contract in the top job following a post-season review after Umaga failed to steer the Blues to the play-offs for a third successive time. The restructure means the coaching personnel remains the same, with MacDonald initially taken up an assistant role from next year. He will retain the team's attacking portfolio while Umaga stays in charge of defence, having signed a two-year assistant deal, working alongside Tom Coventry and Daniel Halangahu. 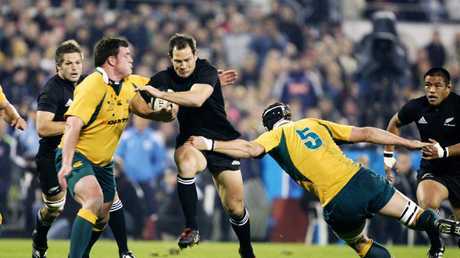 Former All Black Leon MacDonald is the Blues’ new head coach. Former All Blacks skipper Umaga had his initial contract extended to 2019 following a mid-season review but said he accepted the change of tack by the board. 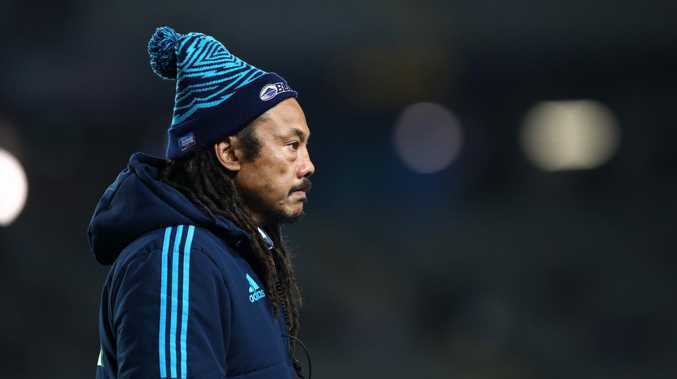 "I signalled that my passion lies with my new responsibility as defence coach and I believe that is where I can make the greatest contribution and difference at the Blues," Umaga said in a statement. "I believe that the coaching team of Leon, Tom and myself is the best that we could have at the Blues for the 2019 season and beyond." MacDonald, a 56-Test All Blacks back, was an assistant coach at the title-winning Crusaders team of 2017. He has coached previously with Umaga at New Zealand under-20 level. 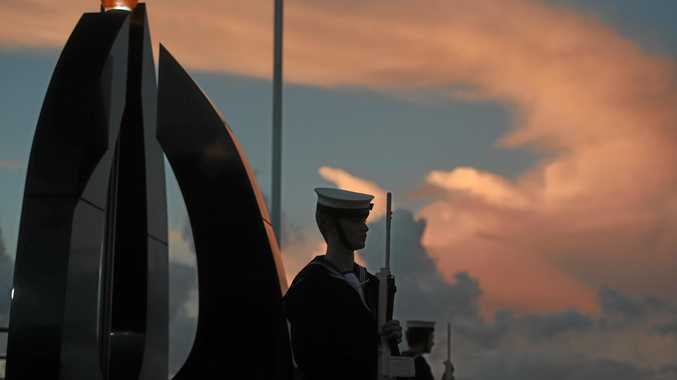 "This opportunity has arisen and I am honoured to have been considered for the role. I will give it my heart and soul," he said. "I've also talked to Tana and Tom and both of them are both hugely supportive and also very committed to our combined desire to continue to move this club forward." Blues chief executive Michael Redman said Umaga still had plenty to contribute and was excited by the vision offered by MacDonald. The board had decided change was needed to reverse a fall from grace for the three-time champions, who haven't reached the play-offs since 2011 nor won a title for 15 seasons. They were the last-placed team in the New Zealand conference during Umaga's three years in charge.